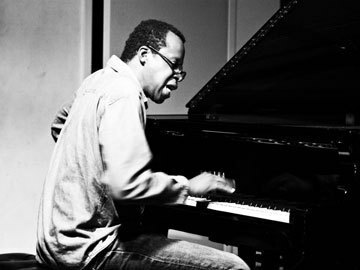 Matthew Shipp is playing piano, and the floor is shaking. 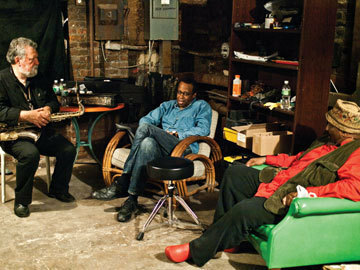 Big cluster chords ring through the modest interior of the Stone, in Manhattan’s East Village, where the great British improviser Evan Parker is playing a two-week residency in October 2009. Parker speaks gruffly on tenor sax, worrying the main motif of Thelonious Monk’s “Shuffle Boil.” His trio mates are Shipp and bassist William Parker, who react to the bluesy line but never play anything resembling the tune itself. The exchanges that follow gain much of their strength from Shipp and William Parker’s countless hours of shared experience, most notably as a duo and as one-half of the acclaimed (now disbanded) David S. Ware Quartet. To be seated less than 6 feet behind Shipp’s back was to feel that shaking floor, to absorb the physical impact of his repeating fortissimo rhythms, flowing cyclical melodies and sudden ascents into sonic abstraction, coaxed from the piano’s interior. This was turbulent music from a turbulent, perplexing soul, one of the most imaginative and influential figures in free jazz today. Along with his stature as a pianist, Shipp has gained notoriety as a rhetorical bomb-thrower-venomous toward his critics, dismissive of icons as prominent as Herbie Hancock, grandiloquent in his view of himself. In a review of Shipp’s 2002 album Nu Bop, former JazzTimes editor Christopher Porter made reference to the pianist’s “hand-scrawled notes to music editors proclaiming his own greatness.” Shipp hasn’t lost his flair for such things. In an as-told-to spiel published by Chris Rich on his blog Brilliant Corners in July 2009, Shipp declared: “I hear no one in the world with as developed and distinct voice [sic] as I have on my instrument for this period in the music.” Can he be serious? Put it this way: When he heard the statement read back to him, he began laughing exuberantly before it was even through. In a word, Shipp likes to wind people up. Part of it may be overcompensation for perceived slights or simply a gambit for attention, but there are deeper issues involved. As he heads toward a milestone-he turns 50 in December 2010-he’s taking stock of his achievements and plowing forward under career conditions that are unvaryingly tough. It’s the lot of any artist whose chief ideal is self-assertion at all costs. Shipp just manifests it more acutely. To a degree, the Evan Parker gig recalled the drumless chamber jazz that Shipp documented so richly on the Hat Hut label starting in the mid-’90s. But Shipp has expanded his role over the past decade, facilitating new aesthetic models as curator of Thirsty Ear’s Blue Series. By now the series boasts a sprawling catalog of music ranging from pure acoustic to pure electronic and many points between-from trumpeter Roy Campbell Jr. to “mutantrumpeter” Ben Neill, from the microtonal viola of Mat Maneri to the futurist turntable collage of DJ Spooky. 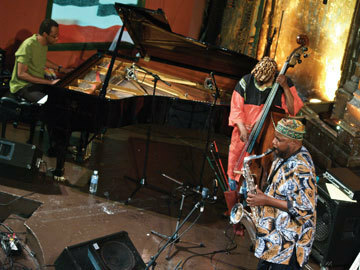 Shipp’s earlier encounters with Evan Parker, heard on Spring Heel Jack’s Blue Series efforts Amassed (2002) and Live (2003), involved improvisers and sound designers in a unique and compelling transaction. Shipp’s blunt assessment of business realities underlies his most polemical statements, including his controversial take on Shorter and Hancock. Thinking back on his anti-Shorter remarks of 2007, he admits: “Look, Wayne has a quartet of young players that are on fire.” Does he dig Shorter’s pianist, Danilo Perez? “Yeah. I think he’s an excellent musician. It’s not even a matter of that. I’ve heard the band a couple of times where Wayne was really questionable. 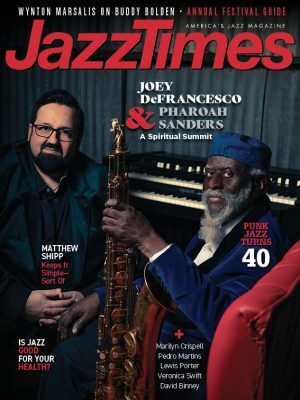 People like him and Herbie Hancock, their careers were made from their early 20s on, and they’ve had all the accoutrements that the jazz industry can give. You can’t give them the benefit of the doubt. One of Shipp’s prose pieces in Logos and Language, titled “Boxing and Jazz,” puts all the gibes and bravado into further perspective. Noting how both disciplines involve “a refined language of will and transposed aggression,” Shipp draws a parallel that wasn’t lost on Miles Davis when he made A Tribute to Jack Johnson in 1970. “I am the greatest!” roared another boxing legend, and Shipp indeed seems to have borrowed a page from Muhammad Ali, even if it sometimes means being his own worst enemy.